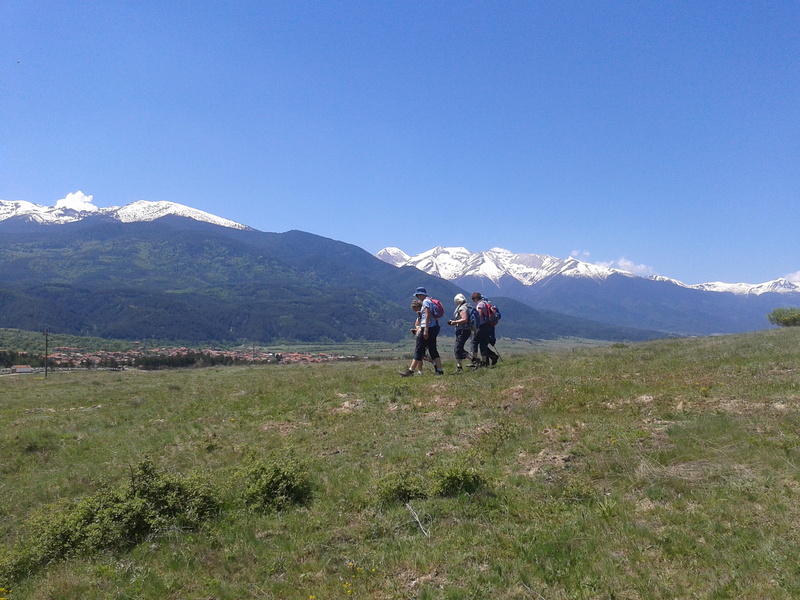 Hiking and cultural program based in Bansko and Pirin Mountains, Bulgaria. All walks are adjustable to the level of your group! Price per person: 490 EUR (for a group of minimum 6). If you have a smaller group this is no problem but the price may be slightly higher. DAY 1: Upon arrival at Sofia we transfer to Bansko, which will be our base for the holiday (2hrs 30mins). The guide will meet you there to welcome you and give you details on the program for the following days. Time providing you can go for a short walk in the beautiful old quarters of Bansko with small cobbled streets and old houses. After dinner you can relax in the chalet garden with a drink, or have fun in the games room. 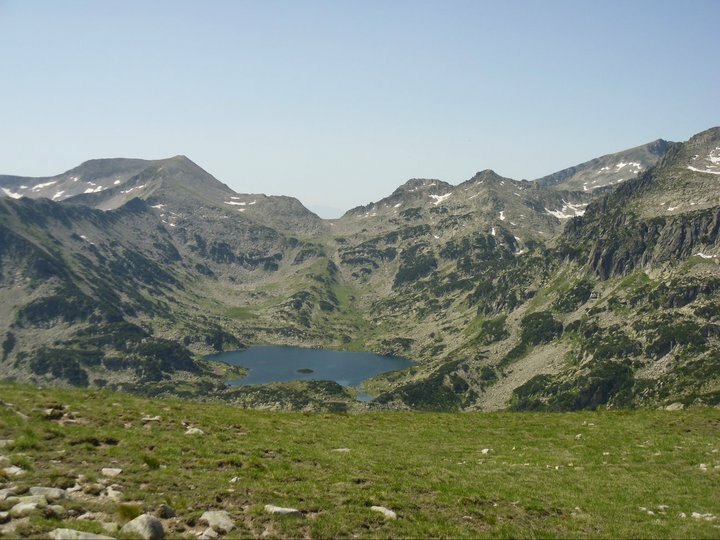 DAY 2: Welcome to Pirin National Park – included in the UNESCO World Heritage List. Today’s walk takes us round the beautiful glacial lakes of Banderishka Valley. The walk affords amazing views to the surrounding peaks – black granite on one side of the valley, and marble white on the other. Enjoy a picnic lunch by the lakes, relax your feet in the crystal clear waters, and…why not! go for a swim! Then head back to the chalet for a well deserved rest. DAY 3: After a short transfer with the minibus (30 mins) we take the chair lift to Bezbog hut and head for Mount Polejan. Numerous glacial lakes shine like sparkling gems around us on the way to one of the highest peaks in Pirin Mountains. We will enjoy a 360 panorama view from the very top, having our picnic lunch and listening to the songs of the winds coming a long way away to tell us the legends of the mountain. Before we take the lift back we’ll sit for a drink right at the shore of Bezbog lake to watch the sun go down behind the majestic peaks of Pirin. DAY 4: After a 2 hour transfer we arrive at the gates of the renowned Rila Monastery – the most sacred place for every Bulgarian, and one of the most famous monasteries in the Eastern Orthodox Christianity. Burned down and ruined several times in its long history, this place has kept the Bulgarian spirit and culture alive for centuries. We will first head for a lovely walk ( 1 hour) to the cave where the founder of the monastery and most famous Bulgarian saint – John of Rila lived. Then we’ll look behind the massive iron gates of the monastery and learn about its curious controversial history. We will have fresh trout for lunch at a lovely restaurant close to the monastery, and then transfer back to Bansko. DAY 5: Today is the most demanding, but also most rewarding day on the program. We will attempt to climb the highest peak of Pirin Mountains – Vihren (2914m). A short transfer in the morning takes us to Vihren hut. The path zigzags steeply above the hut to take us at the foot of Mount Vihren and its majestic 400m vertical north face. Here is the home of the shy mountain goats (Balkan Chamois) and the beautiful edelweiss. We continue further with a steep accent to reach the peak itself – highest in Pirin Mountains, and second highest in Bulgaria. We have picnic lunch at the top admiring the surreal panorama over the mountains with countless glacial lakes, deep valleys and knife sharp ridges. We descent to the hut and stop for a well deserved drink on the way back to Bansko. After the demanding walk to Vihren Peak, we invite you to relax in the outdoor mineral water swimming pool of Banya village (Banya = Bath). Famous for its healing powers, the water will soothe your muscles and revive your body. We have a special surprise for you tonight – an authentic Bulgarian dinner – we will visit a local family lining in a small village and have the chance to try local organic food all from their back garden, listen to folk songs, and even dance traditional Bulgarian dances! Day 7: Today (after 2,5hrs transfer) we visit the smallest town in Bulgaria – Melnik, declared an architectural reserve with beautiful old houses from the Revival period. We’ll take a walk through the famous sand pyramids, surrounding the town to reach Rozhenski Monastery – a peaceful and very spiritual place. After the visit we go back to Melnik to enjoy our last dinner together and taste the fine local red wine – believed to be one of Churchil’s favourites!